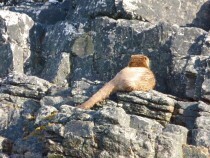 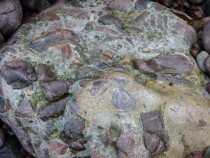 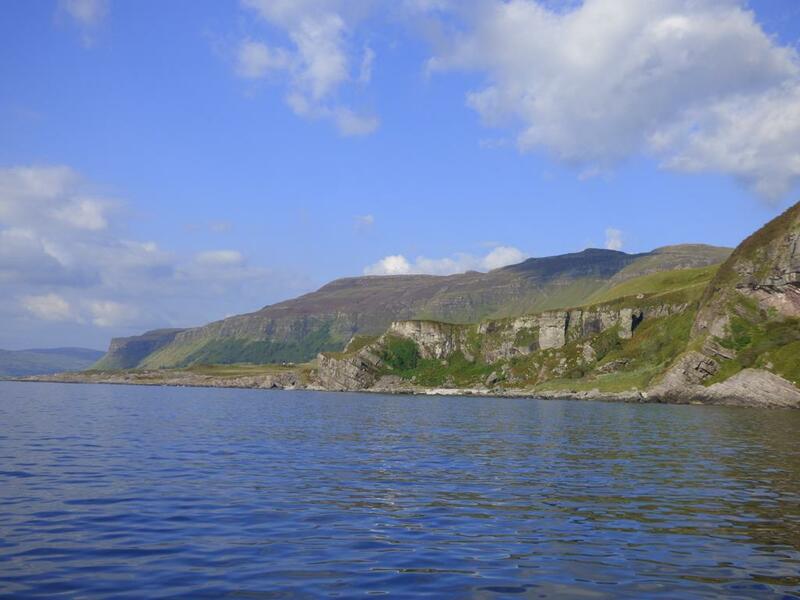 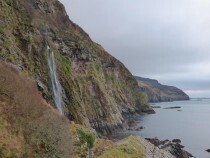 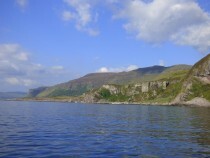 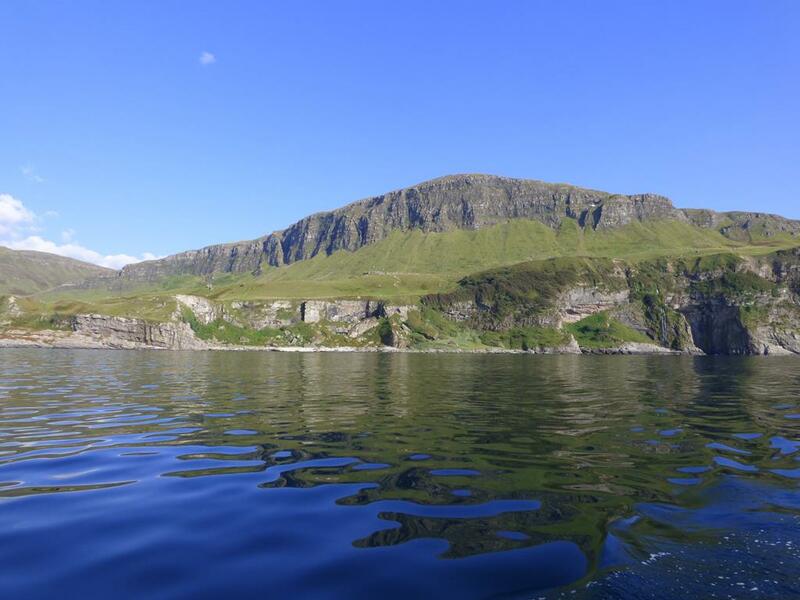 to see eagles and otters and exploring a geological wonder of the Isle of Mull, the cave itself. 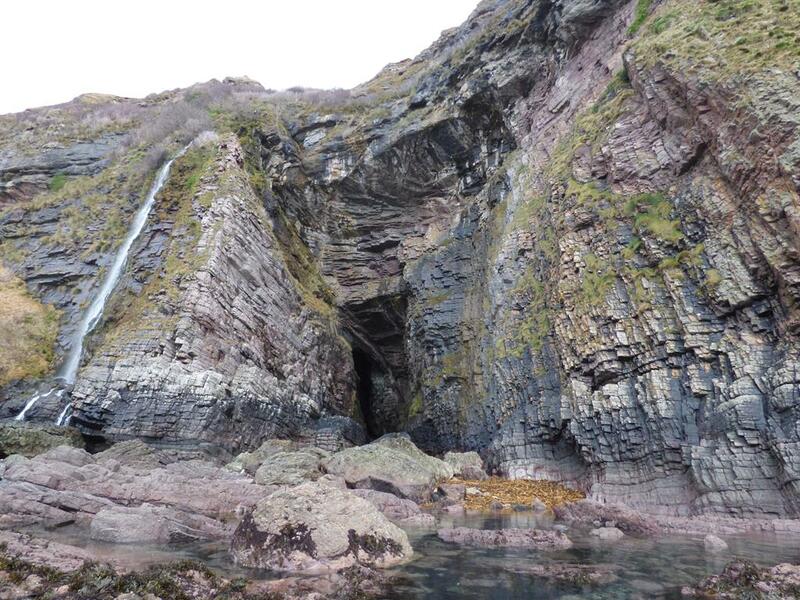 Along with the isles of Staffa, Iona, and Inch Kenneth, the cave was on the route of Boswell and Johnson's Grand Tour of Western Isles in the 1770's.Follow in the footsteps of these famous tourists! The walk distance is about two and a half miles, it will take about two hours, you will climb at the most about 135 metres and the start of the walk is at a parking area near Balmeanach Farm grid reference is NM448333. 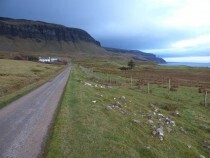 Sat Nav; N 56 25 24.6 W 6 8 19.68 The appropriate map is OS Explorer 375 - Mull East. Stout walking boots required! 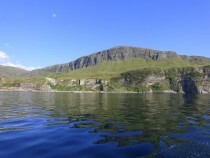 grand backdrop of the magnificent Gribun Cliffs which at times can look sinister if the sun is not on them. 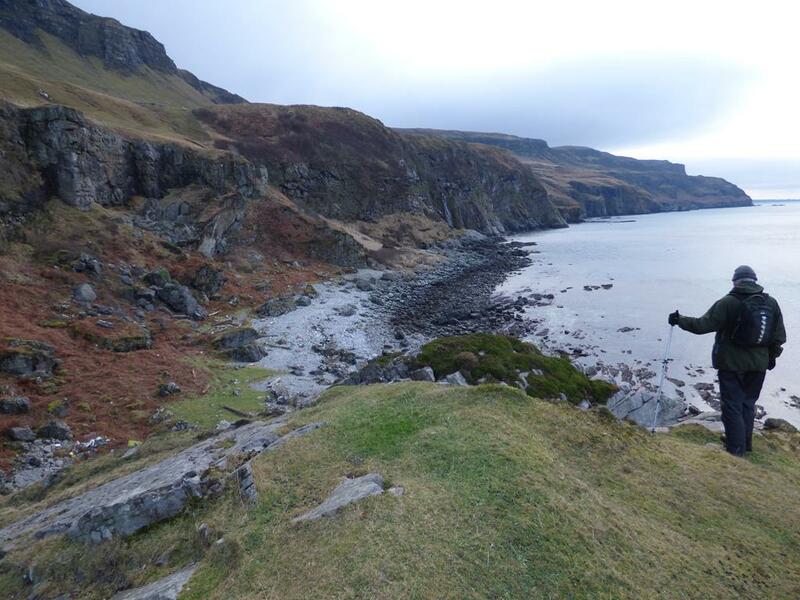 Now go through an old Iron gate on the right and follow down a wide, shallow ,grassy ,small valley for a short distance then continue to the left. 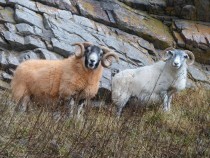 pick up a sheep path just above the boulders and just below the cliffs for a short distance until you are standing beside the waterfall. 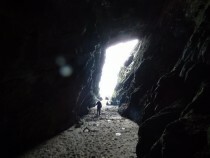 cave at the back is stoney with sand and the roof allows you to stand up in most places. 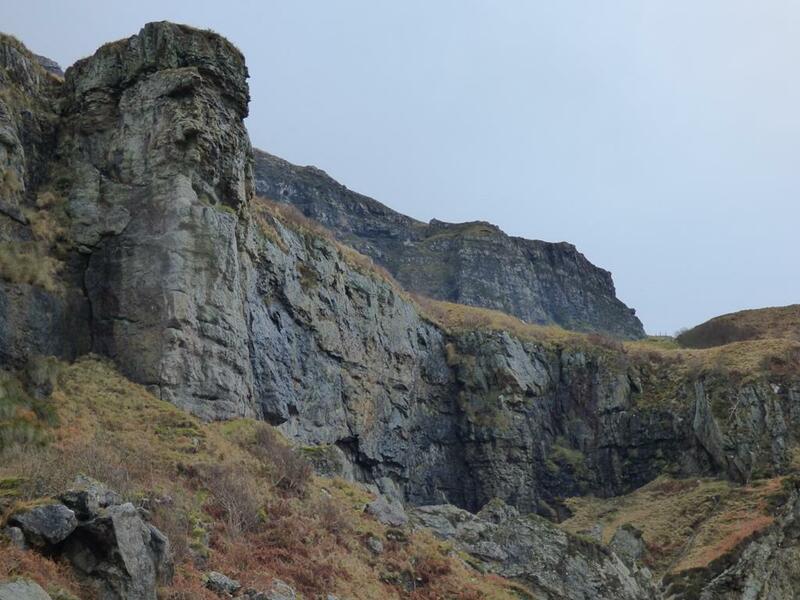 There is a small stalagmite/stalagtite geological feature in the cave, see if you can find it! 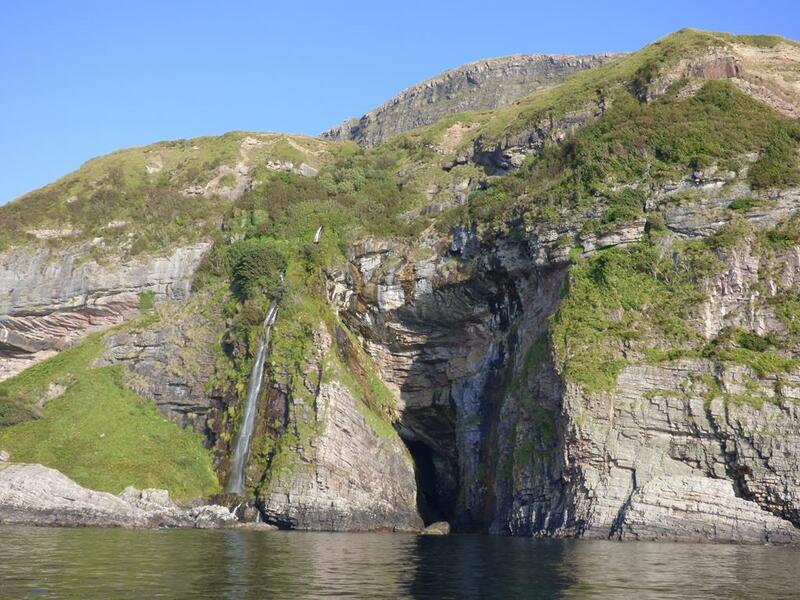 the deepest cave in the Hebrides! cave without its hair. There is a flat table like slab in the cave nick named "Fingal's Table" giving the cave a mystic feel to it. Legend has it that in ancient times the cave was used as a refuge for hermits and the table was used as an alter. 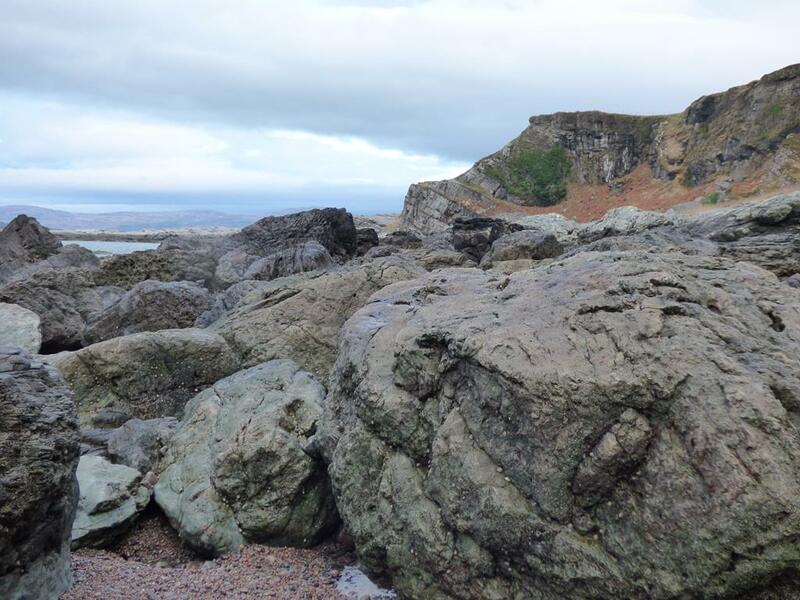 The geology you pass on the walk takes you from top to bottom of the geological column, you can see tertiary volcanics above to the SEA LEVEL psammite basement rocks at the cave.